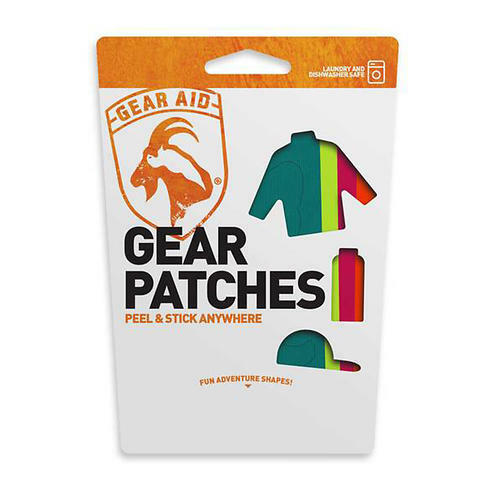 Gear Aid Camp & Hike Tenacious Tape Max Flex Patches 10800. Flexible and tough TPU fabric is resistant to all sorts of abrasions and tears and nasty weather. A super aggressive bonding agent on the back makes the patch a permanent solution to inconvenient tears and rips in your gear. 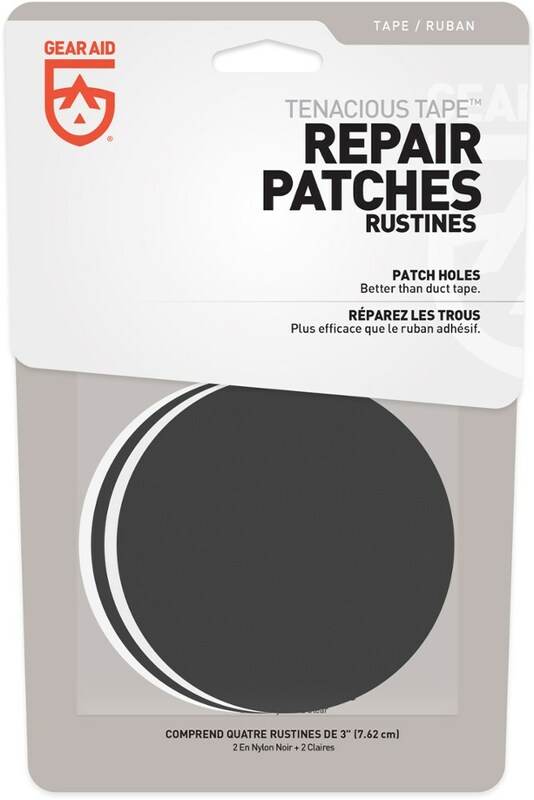 Heavy-duty repairs require a permanent patch that won't puncture or peel. 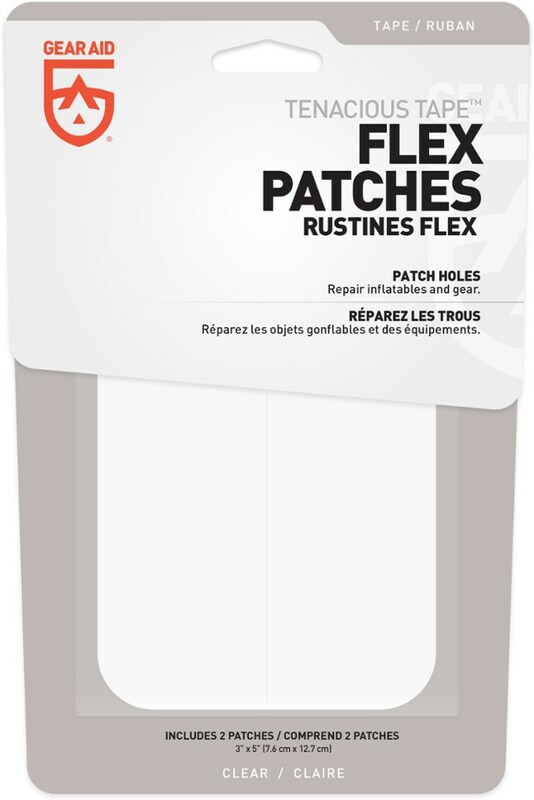 These Tenacious Tape Flex Patches are the strongest tape that Gear Aid makes-ideal for inflatables or other gear. Don't become a victim of Murphy's law when you're miles from civilization by staying armed with GearAid Tenacious Tape Max Flex Patches. 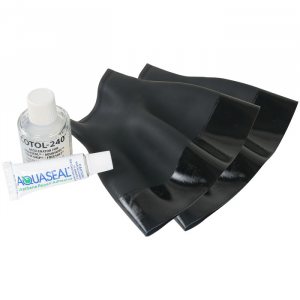 This set includes two rectangular patches that can be used to make watertight repairs to holes, rips, tears, and leaks when you're out in the field. Abrasion-resistant TPU offers superb durability with rubber-like elasticity, making it ideal for items such as inflatable rafts and sleeping pads. And with an ultra-aggressive adhesive, it also works on everything from plastic to metal and steel. 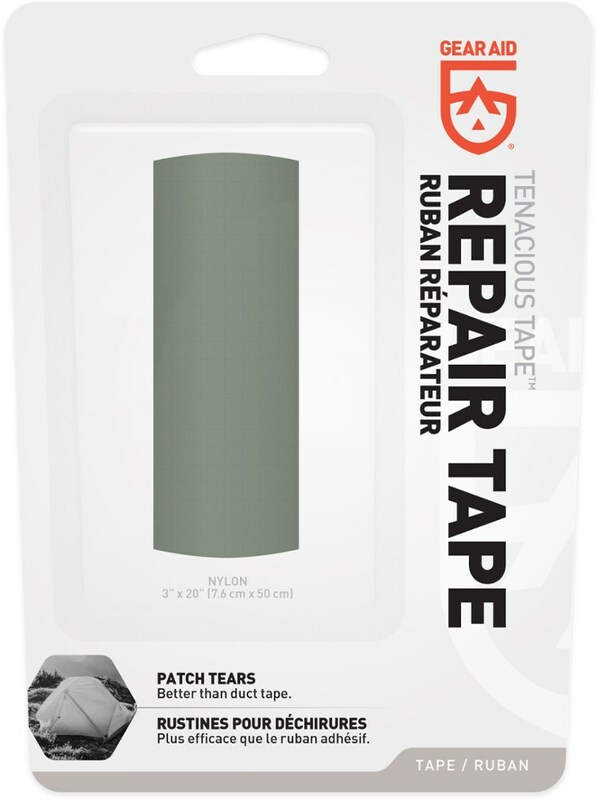 Fix small holes and tears before they ruin your outdoor gear with Gear Aids Tenacious Tape Max Flex Patches. Tough, flexible TPU fabric resists punctures, abrasions, tears and weather, and it offers a permanent solution to ripped tents, jackets, sleeping bags and other camping gear. Rubber-like elasticity stretches and conforms to most shapes. 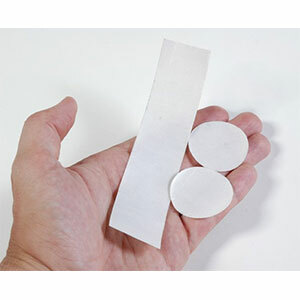 UV-resistant, transparent patches wont draw attention. Ultra-aggressive adhesive wont peel or lift. 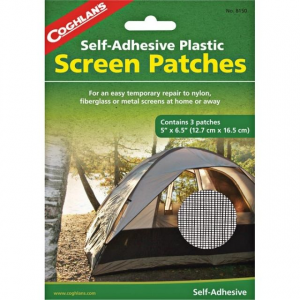 Includes two 5L x 3W repair patches. Imported. Cancer and Reproductive Harm- www.P65Warnings.ca.gov. Type: Tent Accessories.